Superdrug offers top quality health and beauty products for every occasion, ranging from fabulous makeup to amazing skincare products. Have you just ran out of your favourite mascara but have no Superdrug stores nearby? You don’t need to go out of your way just to get more of your beloved beauty and health products. Pinga is here to help you get anything you need from Superdrug as soon as you need it, without leaving the house. Looking to revolutionise your skincare routine with new lotions or need to stock up on your preferred hair products? Let us take care of it. Getting started with Pinga is super simple, first of all download the app on your mobile. Then, share what products you require with our network of Pinga Partners. A team of professionals that will immediately reply to your request, make sure that the details you filled in are correct and then confirm the order for you. Next, you only need to pay for the products through the app, all in the same place. Your Superdrug products are now on their way to your home! Why choose the Pinga app over shopping on the online store? Simply because there is no minimum order amount required for you to process your purchase. When your favourite lipstick runs out, you can just buy a new one via the app, without being forced to purchase other products. Plus, our service is completely secure and every payment is safely processed. Our Pinga Partners will take care of every detail, always ensuring top professionalism and helping you with anything you need. Pinga is set to help you receive any Superdrug delivery with no effort or worries, but you can also purchase products from many more stores. Get started today! Have a look down below to find out how the app works. Pinga delivers any items from Superdrug today. 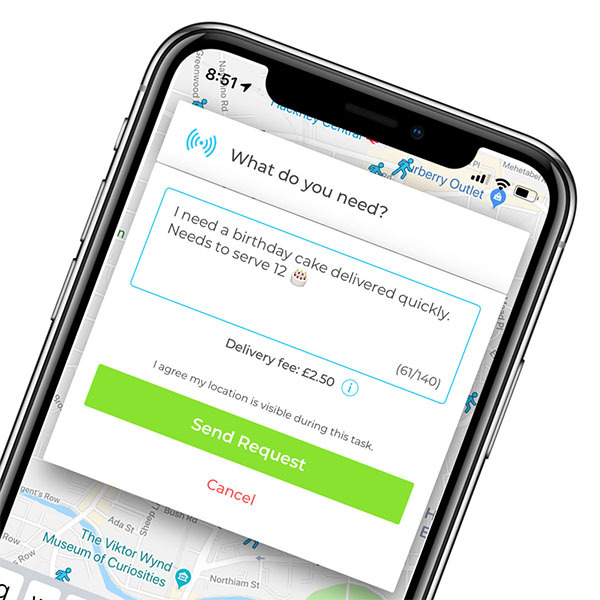 Infact our service normally delivers within an hour, so if you’re looking for same day delivers from Superdrug, send your request via the Pinga App. Describe what items you needs to be delivered from Superdrug and send your request. Pay securely within the app and receive your Superdrug items to your door!